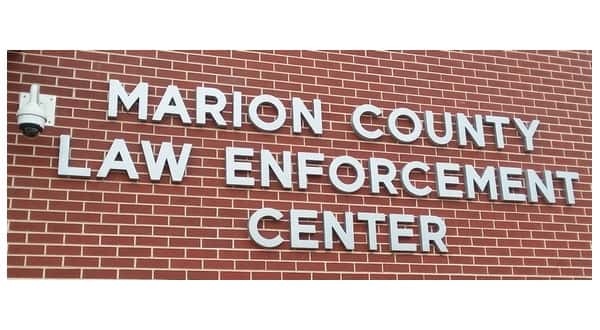 Citizens got their first view of the new Marion County Law Enforcement Center in Yellville Friday, two years after voters approved funding for the project. Marion County Judge Terry Ott led tours of the new facility and emceed a half-hour dedication ceremony highlighted by comments from Sheriff Clinton Evans, Criminal Detention Facilities Review Committee Coordinator Sterling Penix, former sheriff Joan Vickers, who completed the term of her late husband Roger Vickers, and county attorney Sam Pasthing. In November 2016, voters approved a one-half cent sales tax for the construction and equipping of a new facility to house the county jail with 62 beds, administrative offices of the sheriff's department and a communications center. The passage marked the second attempt to secure voter approval for a new law enforcement center. In March 2016, while voters approved a one-quarter cent sales tax to fund operation of a new jail, they rejected a three-quarter cent sales tax to build a 94-bed facility. In his comments Friday, Judge Ott referenced a "storage room" housing an additional 30 beds he says can be nailed down and a door shut within a short period of time to accommodate additional inmates, taking capacity to over 90. In the judge's letter of invitation to Friday's event, he references an added pod holding another 30 or so beds slated as a "training room." In the letter he says usage of the other 30 or so beds will be at the discretion of Sheriff Evans. His letter says the bond issue approved by voters did not specify a bed number, only a dollar amount. 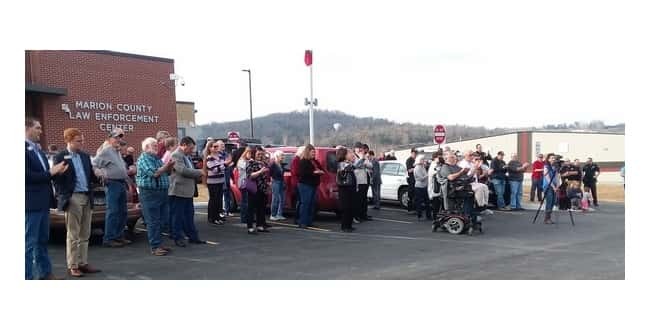 At Friday's open house, Judge Ott told the crowd securing the additional 30 beds was his decision and his alone. He pointed to the savings by purchasing the additional beds at this time at approximately $400,000, saying to do so later would cost between one and $1.5 million. Judge Ott also said bonds for the project will be paid in 10 years, instead of the original 12 years. He said the project had been completed at just a "hair over" $7 million, down from an earlier estimate of $8.2 million. He credited the savings to the earlier cost of materials and the competitiveness of the bidding process. In his comments to the crowd, Sheriff Evans noted the push to build a new law enforcement center followed threats of closure of the current 20-bed jail. The State Criminal Detention Facilities Review Committee in 2015 noted the current jail's crumbling infrastructure, inmates not being separated properly and a lack of fire and emergency response equipment. Attorney Pasthing told the crowd, former Sheriff Roger Vickers had first talked of the need for a new jail in 2008 and began the effort for the new facility. The new facility unveiled Friday is not yet ready to house inmates. While construction is completed, the facility has yet to be furnished. Sheriff Evans tells KTLO, Classic Hits and The Boot news, he hopes to make the transition in mid January. The hard work for Sheriff Evans and his department is just beginning. The facility is located at 221 Randolph Road, off State Highway 202 west of Yellville.